Clearly Superior Technologies uses these hubs inside their mechanical trackball devices. Each set will have three hubs, six bearings, two chopper wheels, and a small out of grease. 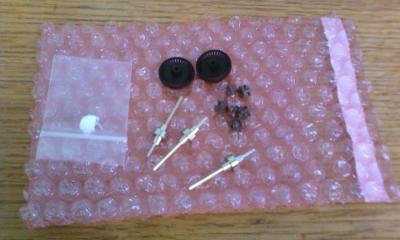 These parts are universal and can be installed in most CST trackballs. However, CST's laser trackballs and Microtracs cannot use these parts.